Status Magic is not a “mainstream” app: you’ll only need it if you care about quality and precision in your iOS screenshots. 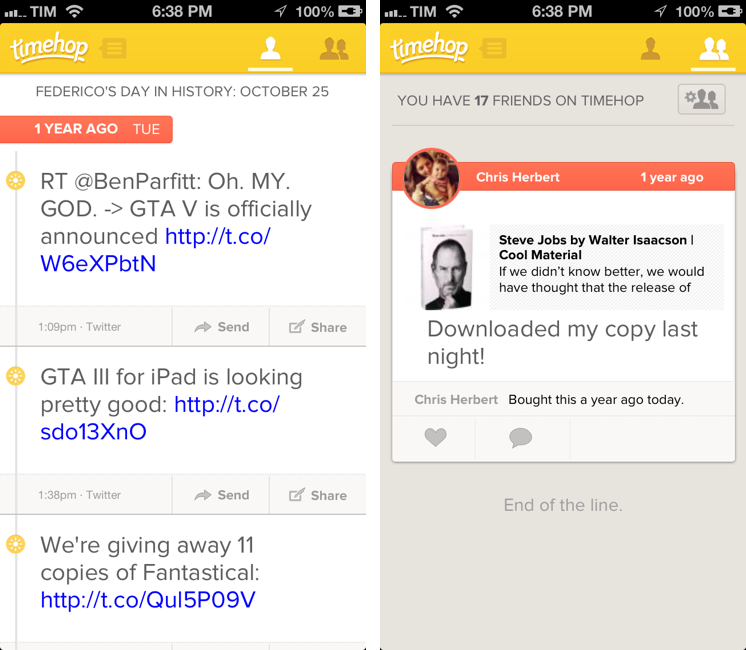 I write about a lot of apps on a daily basis. For these apps, I take screenshots, which, when it comes to iPhone apps, are automatically resized and combined with a Keyboard Maestro macro. But, sometimes, the screenshots I take aren’t perfect, in that the status bar is cluttered with icons or, even worse, showing a red battery indicator. Personally, I think showing a red battery in screenshots is a sign of poor attention to detail and quality. This is where Status Magic comes in. 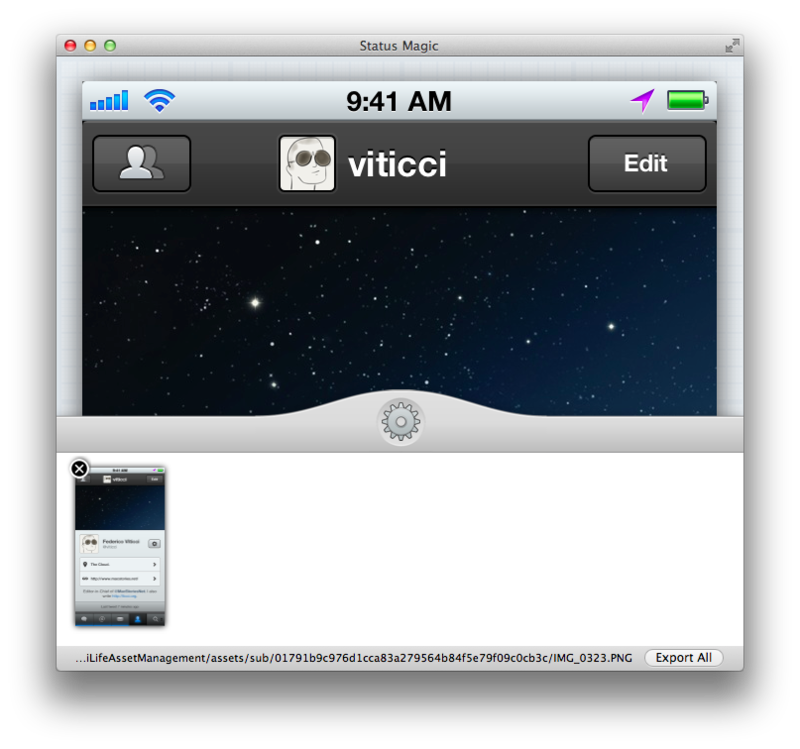 Status Magic lets you replace the status bar in a screenshot with a clean one in just two clicks. It can apply clean status bars to multiple screenshots at once, and it works with the latest Apple devices such as the iPhone 5 and Retina iPad. To do batch processing of screenshots – which is what I’m after – simply drag the screenshots onto Status Magic’s bottom panel; you can drag items from the Finder, a Mail message, and even directly from iPhoto’s Photo Stream. You can then select a file in Status Magic to see a preview of the “new” status bar, or hit the gear icon to adjust how the status bar should be generated. Status Magic comes with various settings for Status Bar Style, Connectivity, Show Time, Location, Bluetooth, and Battery – the icons that, combined, can usually clutter up the status bar in a screenshot. For connectivity options, Status Magic will default to showing full bars, so you won’t have screenshots with poor reception or, worse, “No Service”. Next to Connectivity is Show Time, which lets you customize the time shown in the status bar clock. It defaults to Apple-like 9:41 AM. Another checkbox available in Status Magic is Location, which lets you put iOS’ default location icon in the status bar. Status Magic is smart in recognizing the selected status bar type, and change icons accordingly (location will turn purple in the iOS 5 status bar). When you’re done tweaking an image, you can export only the selected one, or all screenshots at once; you can also reveal the original file in Finder, and bring the app in full-screen mode. Status Magic is a very niche app. It’ll appeal to developers who have to generate App Store screenshots, or bloggers who deal with screenshots on a daily basis for their articles. It can come in handy to reproduce screenshots for iOS 5 if all your devices have been upgraded to iOS 6, too. Status Magic is the perfect app for an AppleScript dictionary or, generally, support for some form of scripting to automate the workflow of batch-editing images. I would like to be able to save presets, and create modified, cleaner screenshots with the hit of a button without having to manually pick menus and options every time. I’m looking forward to future Status Magic updates. If you need a quick and reliable way to produce better-looking iOS screenshots, you can’t go wrong with Status Magic. It’s $4.99 on the Mac App Store.